A former Portuguese colony, Goa has now become a favourite travel destination of many tourists worldwide. This small state in western part of India offers some of the most charming beaches and pleasant natural surroundings to all its visitors. A Goa holiday is desired by many of the leisure travellers and honeymooners. There are several activities that tourists can indulge in, during their visit to this amazing region. One of these activities is shopping, and there are plenty of options for travellers in Goa when it comes to buying some local handicrafts as gifts or souvenirs. Flea markets located at several places in the state have shops that sell different types of mementos. They range from intricately carved wooden items to decorative pieces made from sea shells. Cotton bags, table mats, colourful masks, and shopping bags sold in the shops of flea markets are some of the finest examples of Goa's arts and crafts. The brass and terracotta items that come from Bicholim in North Goa are popular among many of the tourists visiting the region. 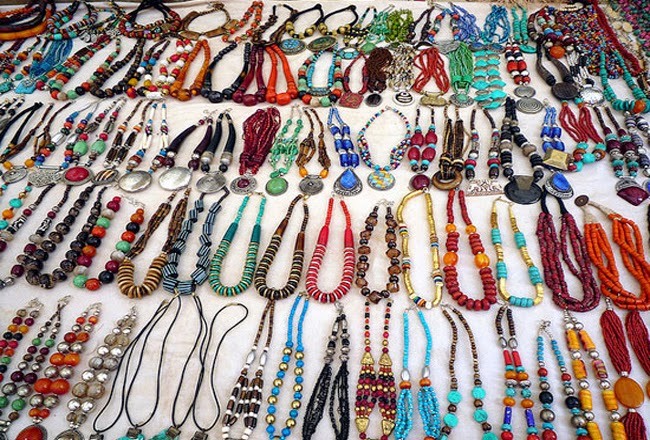 A holiday in Goa would enable travellers to make a trip to some of the flea markets and purchase the souvenirs and gift items of their choice at reasonable prices. The government of Goa has also taken great efforts for promoting the handicrafts of the state through outlets located at certain places. It has given local artisans and craftsmen a great opportunity to showcase and sell their brilliant works of art. An accommodation in Goa in our hotel would give tourists the chance to enjoy a truly memorable stay, while enjoying some fantastic in-room facilities like express laundry service, and generator backup in case of power failure. They can also explore the exotic handicrafts of Goa and visit some of the famous attractions during their stay in our hotel.